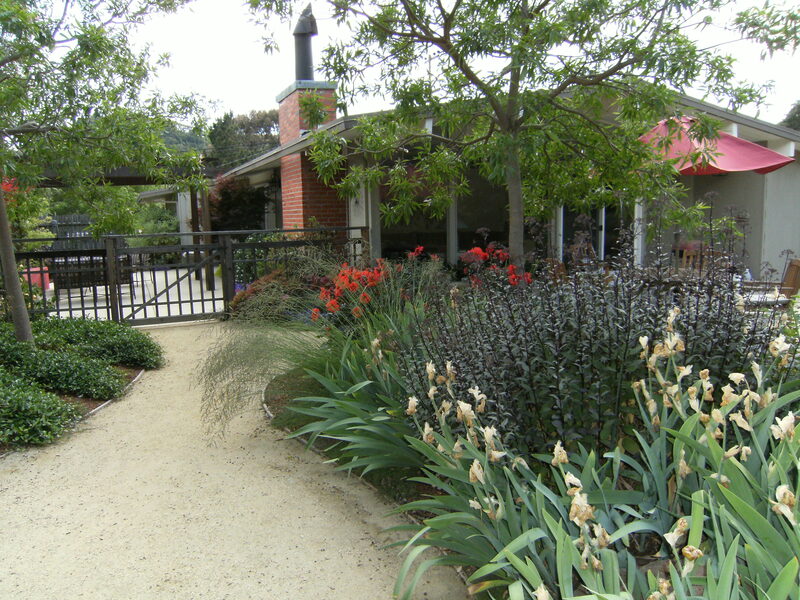 I’ve done 100’s of decomposed granite patios and walkways in northern California and learned a few things as I went along. When I first began, the industry didn’t have a ‘hardener’ that you could add. That made for a semi-successful installation, because in the winter your walkway was mushy at best. With the advent of hardeners, the DG comes out quite nice, with minimal mush. Get the DG pre-mixed with the hardener (some landscape outfits will deliver like this) or mix on your own in a wheelbarrow per the proportion instructions. Prepare a bed that’s about 5″ deep. Use an attractive edging. I am totally committed to Ryerson header, which is a thin hard steel that’s bendable. That’s because it disappears. It is expensive though, comes in 16′ lengths with its own stake. The other plastic headers are ugly. An alternative are the many colors and types of Trek, which is a recycled plastic material. Use the 1/2″ wide size. The advantage is that its more bendable than the steel, but it doesn’t disappear, so its part of your project design. Lay down several inches of road base and use a compacter to compact it very hard and tight. Order enough DG to lay down 2″ on top, compacted. Then here’s the secret: apply the DG (with the hardener mixed in good) at the rate of 1/2″ at a time. Then compact. If you apply too thickly, the stuff won’t harden well. The DG has to be moist when putting it down, but not sloppy. Compact 1/2″ at a time till you have your desired height. Sprinkle with water. Another method I’ve used quite successfully was told to me by the contractor at Strybing Arboretum in San Francisco. All their paths are done this way, and they get tons of traffic. For this method, DON’T use hardener. Apply a good road base foundation of several inches, maybe 3 or 4″. Then apply only 1/2″-3/4″ of compacted DG. Essentially this is a dusting. You will have to reapply every few years depending on your traffic. I used this method for a patio over 4 years ago and still have not reapplied. I think this is a superior method because you completely eliminate any winter mushiness. Even with a hardener there will be some mushiness. Some warnings: DO NOT try to apply a hardener after the fact. I once went to a potential job where the gardener had installed a walkway, then put the hardener in after he was done. Oh my God! What a mess. The whole thing had to be removed and redone. Next warning. Do not install DG directly next to an indoor situation. DG tracks. It’s granite and granite gets on your shoes and gets in the house. You need at least a few steps (not many) before you go inside. My son’s elementary school built a new gym for millions of dollars. The landscape architect speced DG as the hardscape all around the gym. That was a disaster. All those kids tracked that DG into the new hardwood floor and ruined it! They finally installed concrete as a spacer. Next, the materials. Of course, every area is different. DG in the Bay Area came in gray, gold, or dirt brown. I’ve mixed them for different colors. Don’t be afraid to experiment a bit. A new rock came out on the market from a local quarry that was cheaper (DG is expensive. Last I looked it was around $80/yard!). I was able to get ‘fines’ and used that successfully with the hardener for a coral color. For patios, (see my complete post on patios)I usually don’t like to have a visible drain, so I put the drain(s) on the outside in the shrub area. The exceptions are like the previous post with the photo of the sunken patio. Of course, I had no choice. But really, always remember your drainage. One neat new alternative to DG is permeable concrete. Its more expensive than ordinary concrete, but it is nicer, much nicer, on the environment. Its fairly new and my understanding is that a good powerwash in the spring opens the pores and keeps it permeable. If you found this short entry useful, but need more information, click on this link for my full downloadable eBook on patios and walkways, priced at only $2.99. I’ve collected hundreds of real-life questions from do-it-yourselfers and all those questions will be answered in this short pamphlet. I’ve also included information on DG pricing, colors, how to customize colors, and drainage. If you are not sure if you should use DG or another material, I discuss the advantages and disadvantages of concrete patios and their preparation, mortared flagstone, flagstone on sand vs. flagstone with DG, as well as how to prepare gravel paths and patios. Chock full of information in just 46 pages with additional color photos. If you like the eBook, please comment in the Amazon section. I appreciate all my readers and thank you all very much. When using the aroboretum’s method, do you have to compact the 3/4 first? For complete installations instructions, please read my eBooklet first on Decomposed Granite Patios. The short answer is you need to compact the DG. Not sure what you mean by ‘first’ as the DG is the LAST thing you do in the process. Hi thank you for the great article. Im having a patio built and they just dumped off the d g and it looks brown. I was assuming it would be the gold tiat seems to be most popular in places I’ve seen like the Getty museum. Is the brown cheaper? Should I insist on the gold? I’m in so. Cal and we are Going for a Mediterranean look. Thanks again. Depends on what your yard sells. Most places have gold or grey, but brown is available as well in some yards. You probably should have checked first as to what they were actually selling you. Most places once it’s delivered do not take it back as they cannot send a loader to pick it up. Thanks for the information. Does it make sense for our gardeners to have installed the DG with stabilizers a year ago (lovely hardpack) and then suddenly to break it up and rake it? I think one team made a mistake as it was great to have the hard-packed DG around a shedding ficus tree and between a walkway/pool and a grassy area. Now we have loose material everywhere and they must rake rather than blow every week. Weeds/grass are coming up everywhere. This was a mistake, right? So it broke up on its own? Or the gardeners broke it up? Not clear from your question. If its breaking up enough to rake, then it was installed wrong. Just because they added stabilizer doesn’t mean a thing. They could have added the liquid stabilizer. Did you read my entry from October 29 2014 on stabilizers? Second they could have just laid the DG down thickly, all at once instead of how I recommend in my booklet. Third, maybe they didn’t install drainage, or maybe they didn’t lay down a gravel base. Not knowing anything about your situation, I cannot advise you. All I can say is buy my booklet and do it correctly next time. I’d advise you to hire a contractor who is licensed and bonded instead of ‘gardeners’ That way the contractor must reinstall your patio correctly no charge. can I get this without a kindle or kindle download? Hi, If you have a Mac you can get this on your computer but you will have to go to Smashwords https://www.smashwords.com/books/view/419691 Those are .epubs and made for Nooks and iBooks. iBooks is a free download for Macs including iPads and iPhones. Hope that helps. Hi, I found your site after our path was installed, so we didn’t follow the methods you prescribe. Our path is curved and edged with bendaboard. The problem is that the bendaboard expands and contracts, which is causing the edges of the path to erode. I there any fix to this? Or am I looking at pulling out the bendaboard and installing the ryerson header? Can the erosion be repaired? Thanks for the reply. Sorry for the late delayed response. They used the off the shelf bend-a-board made of recycled plastic. I swear I can almost see it moving as the temperature rises, which in Walnut Creek pushes past 100 degrees several times in the summer. Sounds like I may be faced with replacing that edging with metal (or concrete, then repairing the DG. BTW, other than this problem, we absolutely love the look and functionality of our DG path. I never use that stuff as its the cheapest stuff around and definitely not attractive. FYI, I always consult with the client as to what they want for an edging–colors, price, etc. If I were you, I wouldn’t use that contractor again because he didn’t ask your advice, although sounds like your DG was done correctly. Why don’t you use 1″ trek to replace it. Not that pricey and much more attractive, with lots of color choices. That is my first go-to edging when people don’t want to spend much. The cheapest solution is wood benderboard tied together with wire at intervals, and as I said above, you must use about 4-6 layers, but it’s more bendable than the trek or the metal. Unfortunately, wood, as you know, will eventually break down and rot. It shouldn’t be too much work for you to replace that. I had my front yard redone with decomposed granite a couple of years ago. The plants are OK, but the trees (2 palos verde and a weeping birch) seem to be dying. I broke up the granite around their bases. What will help? If you look at my post called Patios hard and soft, there is a photo of a weeping willow with DG right up to the base. Since I am not at your site, I really cannot say what exactly is going on. DG is a porous material, especially if done right. In that site pictured above, we put down only 1/2″ of DG and the rest of the 5″ was base rock. This site had drainage problems as it sat at the bottom of a hill and right above a perennial creek. Therefore too much DG, the common recommended 2″, would have just become mush in the winter. Now you describe two different trees with opposing water needs. Birches are not native to CA (sounds like you live in SoCa as Palo Verdes will not grow in cold climates) and need an exorbitant amount of water. Birches have a lot of diseases and in Northern CA if a client requests one, I no longer plant eastern birch but Himalayan Birch which is more resistant to birch borers. So maybe that is your problem there or lack of water. As far as the Palo Verdes go, they are low water so have a different water need than your birch. One thing you should check is did the contractor who installed the patio put it at grade level with the trees or did he raise it around the collar? You know if you mulch a tree above their collar, you will kill it and that goes for any material including DG, so that could be your problem. DG with baserock done correctly is a porous material and allows water to flow through. I suspect your contractor or installer raised the ‘dirt level’ with the DG and therefore suffocated your trees. Hi, Can you tell me the size of the base rock you use for this kind of application? Thanks! By definition, baserock is a variety of sizes mixed together, usually 3/4″ and smaller. It needs to be a mixture so it compacts well. This is what is used on roads as a base, then compacted. The yard will know what you mean when you ask for it. I have a DG patio and path. Misread the instructions and waited 6 hrs after initial stabilizer (technisoil g3) instead of 30 mins. it hardened of course, and is now coming up in clumps. is there any way to repair, short of pulling all the DG out? First, please read my entry on stabilizers and G3, which cracks and has a lot of problems. You should first, call the company that makes the G3 and ask their advice. I suspect you will have to break up all the clumps, regrade and re-compact. Once that is done, spray on top with this expensive, but quality stabilizer called TerraKoat. The instructions for rebuilding an existing surface with TerraKoat are in the Addendum of my DG book available online as an eBook. I would not use the G3 again. Thanks, will read. I did contact the company and they said either (a) scrape off the clumps and apply top coat or (b) rake it all and re-apply. Having wasted hundreds of dollars I’ll pass on both options for now and let nature take its course. in a couple years, when G3 is mostly gone, I will reassess and when I do, choose a different product…. thanks. Just to follow up – I had already bought the G3 and was getting pushback on returning it. I raked it, reapplied and re-compacted. It is working. Not perfect, but good enough. I think my bigger mistake was to use that recycled plastic edging. It expands when the DG does not, and cracks form. Oh well. I wish to do the Arboretum method. Should all the base gravel be compressed at once before the DG fines are applied and compressed on top or should it be compressed in layers? I am using it for an upper patio. Also, will oak tree leaves stain it? Most of ours have fallen or died with the drought and heavy rain of December in N.California. However, some of my neighbors leaves fly over in fall. We have Japanese maples as well. Plan to clean up as quickly as possible. Time is of the essence. Just decided to do this instead of gravel as it looks so much easier to walk on, and because of a transition from path to pavers on a slight grade. Don’t want anyone slipping! About to order for next week! Thanks! You can read the exact method in my eBook. But apply the gravel half at a time, using an electric compacter for each half. I’ve never seen leaves stain DG. Just use a blower or rack to move them off the patio. I have a reverse decomposed granite issue. Apparently dg was installed as the base layer for a layer of asphalt in my backyard. I’m an avid gardener so soon after I moved it I took out the asphalt to garden. The layer underneath seemed to be fairly organic looking so we just dug holes to put plants in wherever we could get a shovel through it, planted several trees here and there, and went on with life. I have one area along side the deck which really needs to be planted but due to the gravel / rock layer I just having pots. Finally, I decided to remove the entire dg layer. I’m finding the easiest way, and it’s not easy at all, is to undercut with a mattock. Is there anyway to soften up decomposed granite? Now that is a new one on me! I’d say hire some young guys with picks and go for it. 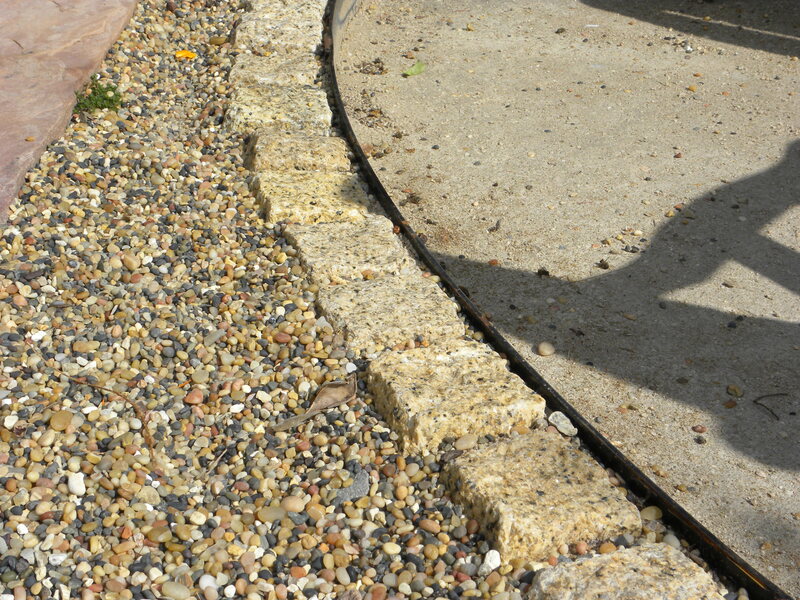 I have a contractor that just put in a small DG patio in my front yard, but the gravel is VERY loose (and now its wet from two days of rain here in So Cal)…he recommends spraying some type of glue on it and then tamping it down again. Have you ever heard of such a thing? I am in Northern CA (Sonoma). I read your book and have been following the Arboretum method on my DIY project (which is a complete lawn removal – approx. 2500 square feet to be replaced with DG). I scraped what was left of my 3 year drought tortured lawn, dug down 3″ to 4″ and built several raised planting beds to hold the soil. I have layered and compacted 3″ to 4″ of road base. The whole thing is bordered in with a combo of concrete patio edges, rock wall edges, planter bed edges and some wood edges. So far so good I think. I noticed that compaction on my road base can vary from very tight (where there are lots of fines and compacted when moist) to firm but subject to movement in areas where there are more rocks (if my dog makes a hard turn while chasing a ball, he can leave a small divot). When I put down the DG (1/2″ to 3/4″ compacted) will the surface maintain compaction or will it loosen and let road base gravel work its way up if my dog makes a hard turn on it? Hi Jeff, well not being there that is a hard one. Did you use an electric compacter? That would definitely help. It might happen that yes it would leave a divet somewhat there. DG is not perfect and in fact it can leave rivulets from rain etc. I would suggest 1. compacting with an electric compacter and misting it in between if you haven’t used one yet 2. putting the DG done as suggested in the book and seeing what happens–again with an electric compacter 3. if you are still having some sloughing off them use the TerraKoat hardener afterwards which is a spray that you can spray on top at the end. The TerraKoat will solve any of those problems and you can determine later if you need it or not. I’ll keep to the method you outlined in the book and see what happens. I have been using a heavy gas powered compactor. I did try compacting some DG samples I brought home for color selection but there was not enough to get a good test. I did notice the DG worked its way down into the road base so maybe it will help lock it all in. If not I’ll look into the terrakote but that was not in the original budget! Thanks for your book. I would have made several mistakes without it. Would there be a downside of having stabilizer added by my landscape materials supplier (the powdered kind) from the start? I know the arboretum method specifically says do not use stabilizer but does it create any problems if I do? Well, you usually just do not need the stabilizer with so little DG but it wouldn’t hurt to add it. I might do 3/4 to 1″ if I added the stabilizer. I’ve done the arboretum method with no stabilizer with even 1″ of DG because my landscaper didn’t follow my instructions because he was afraid. It turned out just fine. Stabilizer wasn’t even ‘invented’ until around the early 2000s. People used to put it down in the beginning without any. My own yard I did a DG path in 1996 with 2″ of DG when stabilizer was not available. It was somewhat mushy in the winter but held up fine for 20 years. So, yes to your question. If you want to include some stabilizer in your 3/4″ then there is no problem there. I just don’t think it’s necessary. Thanks for the reply. One more question (I think!). What is a typical compaction rate for DG when laid down over over compacted road base? (Using a heavy duty gas powered compactor). I have been using an online gravel estimator to figure out how much material to buy and on some of them you can enter a compaction rate. So if I wanted to end up with 3/4″ compacted DG what would that be loose? That is something the Yard will figure out for you. Hello again. Just checking in after two plus years. My DG Arboretum method back yard has held up beautifully through two very wet winters here in Northern California. It seems like the rain really helps to re-compact all the fines that are loose on the surface; it is also great to have full use of the yard regardless of the weather. The one thing I would like to change is the color (gray). Since installing the DG, I have seen other yards around town with DG colors that I like much better than gray. Since I originally used the Arboretum method, I am wondering if i can simply top coat it with another 1/2″ to 3/4″ of DG of a new color and compact it? Thanks for checking in and verifying that the Arboretum method is fabulous for wet areas. Just a note that usually you might have to add another layer of DG in about 5 years anyways because we put down such a thin layer. As far as adding more, no problem. I’ve done some creative stuff like mixing several ‘color’s’ of rock together. Not sure what color you want, but I’ve taken the black fines and mixed with gray and even brown for a nice look. Just do exactly the same method you used previously when laying down the DG, with a compactor. I started to create a DG path last week, but upon compaction, it all turned to mush. The first layer seemed to work fine (we used a drum roller to compact as we needed to install over a couple of days and could not afford to rent the vibrating plate compactor twice). We then put on a second layer (1-1.5″ thick), screeded to the proper level, then attempted to go over it with the vibrating plate compactor. Muddy mush! We had dampened the DG the night before (over 12 hours), but couldn’t understand what happened. (It had rained the weekend before, so I’m wondering if the sub-based was just too damp still). 1. Do you have any ideas of what may have gone wrong? Also, in an area where the vibrating plate compactor did not fit, we used a hand tamper. This area turned out looking nicer on top, but it still had some cracks. 2. Do you have any suggestions on how to repair the cracks? (I tried filling in the crack with dry DG, wetting it, waiting, then tamping. This only resulted in smaller cracks the next day). I am starting to question whether the yard send us DG at all, or some dirt/DG mixture. Your feedback is appreciated. Lila, did you read my entries on DG or my book? You do not mention how you did your road base and how many inches of it. You didn’t mention how you compacted the road base, nor if you accounted for drainage for your path. You also said you applied it at 1″-1.5″ thick at a time which is not what I recommend in my book or my entries. You’ll have to start over, remove all your DG and maybe reinstall the road base, if you even used that. Did you have stabilizer in the DG that the landscape yard pre-mixed? What kind? Sorry, but you have not given me enough info. I recommend you start over using the methods I outline in my eBook. There are several things that could have gone wrong. 1. Temperature too cold when applied 2. DG was not sufficiently mixed with stabilizer and so the stabilizer just sits on the top 3. Your contractor is using G3, a liquid stabilizer, which cracks a lot and has a lot of problems 4. Not compacted correctly in the first place and 5. Any combo of the above. Unfortunately, I did not find out about your book until AFTER we began installation. Per a local landscaper, we did not need road base as long as we sloped the surface properly. We did not use stabilizer, as it has such mixed reviews. Sounds like we will have to dig it up and start all over. Not looking forward to the extra work, but we want to get it right. Thanks. Leslie, I’ve read your book but I”m still unclear on one thing. You say mix the DG with stabilizer before it is laid down. Do you also then mix water in so that it is damp not sloppy before it is laid down? Also I’ve already laid about an inch and I’m guessing I’ve not used enough stabilizer because 5 days later the DG is not uniformly hard. Fortunately I have another 1/2 to 1 inch to go before I’m finished. Should I just lay the new DG on top of what I’ve already laid without applying anything further (i.e. stabilizer or water) to the base layer of DG that is already down? Since DG and also the stabilizer are powders, you have to mix them first in either a wheelbarrow or cement mixer, then apply water so it is, as you say, damp not sloppy before laying down and compacting. I hope you compacted the DG 1/2″ at a time as that is the secret. You certainly can apply another 1″ (1/2″ at a time) without stabilizer and just know that without stabilizer in winter rains it will be mushy. I would suggest using TerraKoat which is a stabilizer that is sprayed on, or watered on, AFTER the DG is set down since you already began your project. That way you know that your entire project has a hardener rather than only the top half. It will probably turn out much better that way. Actually the stabilizer I have is a liquid called Gator Stone which seems to be applied in the same fashion that TerraKoat is. I was advised by the yard I got the DG from to water the area prior to laying DG (yes, in .5″ increments) compact, apply the Gator Stone and sprinkle with water. So that’s what I did. I can sink my finger up to the knuckle into the two .5″ layers laid in some areas, so I am guessing I underdid and wasn’t uniform with the Gator Stone I sprayed on. I am thinking to not touch what is already laid but build on top of it the final 1″ (in .5″ increments) following the same steps as above, but just use more Gator Stone and be more uniform at the end of each increment. Do you see any other steps that I am missing? Nick, just looked at the Gator Stone website and it didn’t appear to me that they specialized in DG stabilizers but more like hardeners for various other modalities. Maybe that was your problem. In this case since you are using a product that your yard provided, I would advise consulting them. Leslie, thank you for following up on all of these questions. They have been really helpful. I now have two questions: 1.) I live in Massachusetts and would like to do the walkway like the one you show at the Getty Museum. I am wondering, since our winters are cold and snow can get up to 20 inches, if this walkway would work, if I had to use a snowblower over it? 2.) I read the TerraKoat site and noticed they offer a Bonding Agent, which can be used without a foundation of aggregate; have you ever created a walkway with the bonding agent and only 2″ of the DG? Not familiar with Mass. but I do know that DG does not do well in areas with a lot of winter moisture. Talk with your local landscape yard. It’s possible that DG is not even sold there because of excessive moistures as well as freezing and thawing. Sorry, not familiar with the bonding agent. I’d suggest calling the company and speaking with them directly. I would suggest TerraPave as that hardens up like asphalt, but it is only available in Northern California. Wouldn’t recommend it. Clay does not drain and although rain is a memory now, the only thing that is constant is change so rain will return and your DG will not be stable. Thank you. We appreciate your response. Patti, talking about rain being a memory. I understand that there’s a 75% consensus that this year we will have the biggest El Nino on record! Our licensed General Contractor signed an itemized agreement that, in part, required him to lay down Decomposed Granite walkways, 2-3 inch thickness, as part of a backyard remodel project. But while he’s laid & hand-tamped about 1 inch of DG so far, he’s not even mentioned the stabilizer. Is that something that typically needs specifying in a contract bid? And in either case, is it too late to add stabilizer to the DG? I’m worried about ruts and run-offs, especially if we do have that El Nino. Ask him about it. He probably is getting a dry stabilizer from the yard pre-mixed with the DG. I prefer to have the yard mix the powder as they have the equipment to mix it thoroughly vs. on-site in a wheelbarrow. Look in my book about the TerraKoat. At this point that may be your best solution. Also, 3″ DG is way too much and have it lay it down 1/2″ at a time, then tamp it. DO NOT let him raise the price because he needs to use TerraKoat which is a more expensive solution but does work. This is his fault as no decent contractor would lay down that much DG without stabilizer. If he says its too expensive, make him start over using my methods described in the book. Hi Leslie, I had a quick question (I think). Assuming it is graded properly and packed tight as it should be, is it possible to put DG on top of an existing concrete pathway, essentially using the concrete as my base? Or would it turn into a mess when it rains? Would rather not go to the trouble of ripping out all the concrete if I don’t have to. Not something I would suggest if it were my job as the designer, but you could try if you wanted. I suspect you’d have quite a bit of run-off and stream rivulets during rainstorms. The rain would go through the DG, hit the concrete, and with no where to go the water would just slide down the concrete instead of going into a gravel base below. That kind of run-off when heavy would probably take the DG with it. Thanks for the response. With our average 45 in of rain here, probably not a good idea. I was only thinking if there was a way to make the DG so it wasn’t permeable, but sounds like that won’t work. I have about 2″ dug out and plan on using just DG on top of garden fabric. Do I need to use a gravel base to be successful in the project? Hi Rich, you really need to read my posts as everything you are doing so far is not my recommendations i.e. garden fabric and only 2″ base and no base rock. The basics are explained in my posts. The details in my book. Great info and very helpful. We are getting ready to replace our lawn (just took out the sod today) with a combination of pavers and DG. All you present here seems very clear. We’ll see if it still makes sense when I’m out in the dirt doing it. I noticed on the TerraKoat website that they suggest a method using a bonding agent on the dirt rather than using road bass and then placing the DG on top. See there tab on “Bonding Agent” (http://www.terrakoat.com/). Have you ever done this method and does it actually work? I’ve only used their stabilizer as a spray on afterwards instead of the traditional powdered stabilizer. I recommend it although it costs more than the powder. TerraKoat seems to be pumping out new products that might make DG installation easier. I recommend you call Wheeler Zamaroni in Petaluma CA and ask what they think of this new release product. If you hit the distributor button on the terrakoat website, you will see their contact info. They are the exclusive dealers for Terrakoat and will have some good information for you. TerraKoat began with the product TerraPave, which is a pine resin based stabilizer for DG that hardens up almost like cement. TerrePave had to be installed by contractors that were trained by Wheeler Zamaroni. The technique was very specific compared to the usual method. In reading over the ‘installation method’ for the bonding agent on their website,it didn’t appear to me that a homeowner could do this job and have it come out well. But check with WZ. They will give you the best advice. Hi again Mike. I had a lengthy conversation with the rep for WZ and got a good feeling for when to use the bonding agent. First, they are still all for the traditional method which is, in their words, ‘here to stay’. Especially for what you are doing with pavers, I think you should go that way. So, when to use the bonding method? If you have a hard surface already i.e. asphalt, concrete, then you can use the bonding agent directly on top as prescribed, then lay on the 1/2″ of DG. The DG forms a rock hard surface and I mean rock hard. There might be a few larger aggregates in it because with more DG, the larger aggregates would be absorbed into the fines, but not in this case. On their website they talk about laying it over dirt. This can be done where you first use the stabilizer to make the dirt rock hard, then lay on the bonding agent. Proper grading is most important here as again the water will just run off. In that case where the prep is more extensive, probably best to use a contractor. The bonding agent DOES NOT replace traditional prep method I outline in my book or that TerraKoat recommends for their stabilizer product. 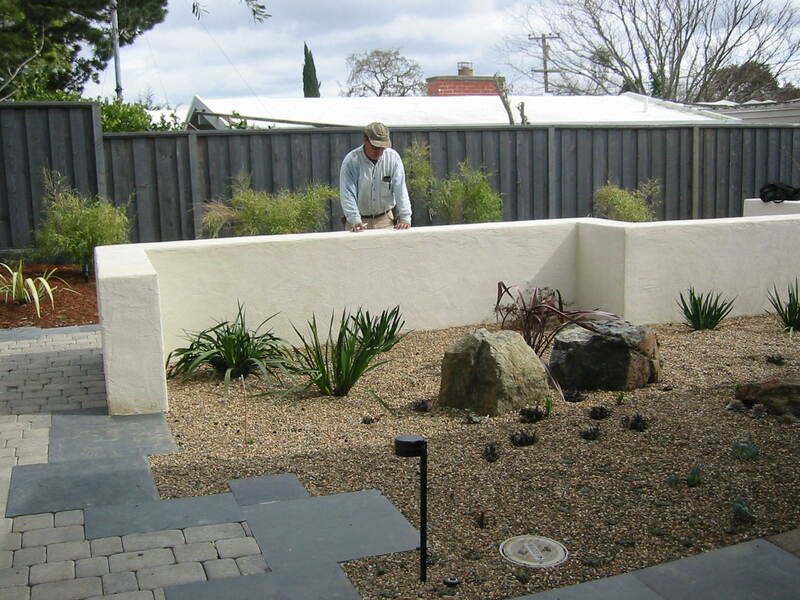 If you are doing a patio, a landscape project, etc., go with the traditional method. If you want to do a quick path, or change the look of a concrete path, you can use the bonding agent. Hope that answers yours, and everyone’s question. Thanks. I learned something new. Thanks. Appreciate you taking the time to look into this and I’m glad you learned something too!! It sounds like the bonding agent method might also be useful for areas of a housing pad that is cut into a slope especially when cut into hard material like existing granite. We have a lot of areas like that down here in San Diego! I installed dg in my front yard in southern California. People and dogs are leaving paw prints and footprints along walkways when the dg is wet. Not sure how to get them out. Do I wet it with a hose and rake it? Its hard right now and difficult to get them out. We have an existing, winding decomposed-granite pathway in our backyard garden, which is slightly sloped and covers approx. 600 sf. It is a beautifully designed, magic garden, with about a 250-year-old oak tree canopied over a lot of the planting and pathway. The pathway was installed last May / June by our gardeners, a local business, to replace the very sandy, worn DG pathway that came with the house (in SoCal) when we bought it a year ago. They installed Del Rio gravel behind the path’s edging and around the plants. Since May, the new pathway has become cracked and pitted. The top has become somewhat worn away from the recent rains we’ve had. The gardeners say that there is always some cracking with DG, and that the surface pitting is from rain falling from various oak branches. I believe they’ve guaranteed it for a year. But we don’t know what our options are now, with the pathway in its current state. It was the perfect, most natural-looking treatment — if only it had stayed in good shape! My husband would like to replace it with a ‘tennis-court’ surface, but I am too wary to risk having our garden ‘pioneer’ such a concept. 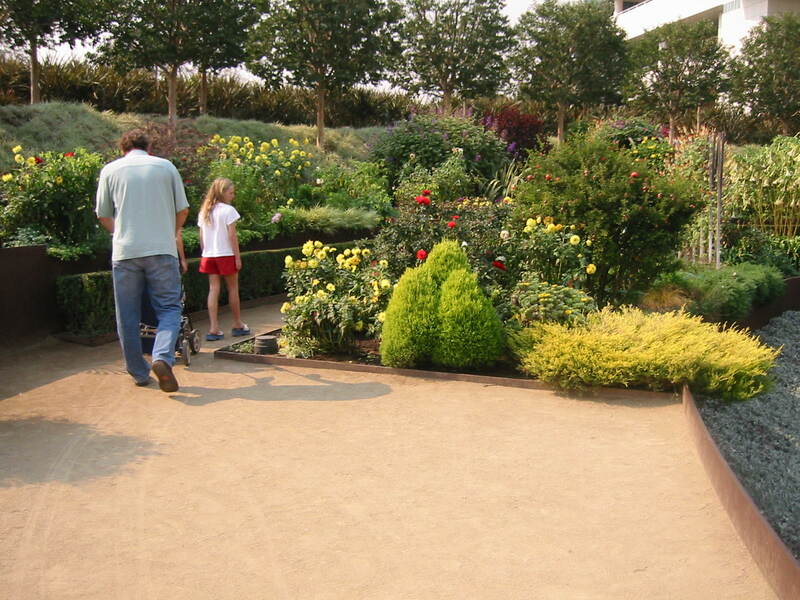 I do not know of anyone who has a tennis-court garden pathway. How it would look, how would it affect the soil (chemicals, rubber, etc.)? I would like to maintain the rustic and magical, hidden-garden look that we first fell in love with when we purchased the home. Simply put, the DG pathway matches the garden it winds through. I would like to bring it back to a servicable condition, if possible, where collected leaves – not dg – can still be blown away. Are there other pathway solutions that would look as nice as the DG did, while remaining a ‘background’ element? Something ‘busy’ would greatly interfere with the existing style of the garden. Thank you for any help and / or suggestions! If you want more advice, please see my offer under ‘My Gardening eBooks’. 4″ of pea gravel is a lot and my experience is that weeds usually float in from the top vs. the bottom. That is why I do not recommend weed cloth. DG and mortar do not mix well. You can use DG as a mulch, but I doubt your idea would work of dribbling it over what’s existing. Other than redoing it with a proper job, you could simply remove the gravel then mortar down directly on the existing dirt (if it’s hard clay) step stones of some sort and fill with a planting soil, then plant in between. Or if you don’t have hardpan underneath, then use sand to make the path. Thanks. Removing the gravel is not an option. Guess I’ll just get a lot of pre-emergence to apply once all the weeds are gone and use vinegar/Epsom salt mix for weeds. Was looking for a more permanent solution short of removing all the gravel. I originally wanted more of the bad soil removed but that didn’t happen and now stuck. Thanks for the tip. Help help help, we just spend good money to have our back yard and side walkway done and its been 1 1/2+ weeks and the dg is not hard! The contractor keeps saying it got wet and it needs to dry but i think something is wrong. We had him come back out and he said he fixed it but its been 3 more days and still if you walk on it your feet sink in. Whats up? Devorah, in order to give you any advice, I would have to know exactly how the contractor applied the DG (did he apply it all at once? What kind of base did he use and how deep? What kind of compactor did he use? You would need to see my posts as well as my book for how I advise installing correctly) and what, if any, kind and brand of stabilizer he used. Also, what did he mean when he said “he fixed it”? How? Also, does he have an active contractor’s license in your state? (by the way, where are you?). If he does, then he will be licensed and bonded and therefore responsible for your satisfaction with his work. So if that’s the case, then you can relax as he will have to redo it until it comes out right. This is very useful article – thanks! My question: Is it possible to alter/redo already stabilized dg? I’d like to add just a couple flagstones into a stabilized dg path to break it up a little bit for visual interest. The dg path was installed 6 months ago. The landscapers mixed in a little concrete with the dg (sorry not sure of the ratio). It doesn’t get heavy usage but has held up just fine so far through the winter. They didn’t use any edging, and while not crumbling/loose at the edges, if I give the edges a back with a hammer the dg will dislodge fairly easily. Was thinking I could cut/chisel out a square (perhaps not the full 4″ dept of the path), put down some dust and a flagstone, and then fill with dg. Bad idea or worth a try? Please read my entry on my experience with concrete mixed into DG. You might not be happy in a year or so with the result. Given the fact that your landscaper used concrete, I’m not sure what kind of consistency you will have around your flagstone. Worth a try. I am betting you will probably eventually pull up your DG path in a year or two and redo correctly. What about using decomposed granite for an outdoor basketball court? I have heard of installations using DG and polymeric sand. Your expertise is greatly appreciated. I’m not familiar with polymeric sand but given the installations I’ve seen with TerraPave, I’m sure that would work. TerraPave uses tree resin as the binding agent and it becomes quite hard. Not sure of the wear over time if you are playing hard on it though. You might look into permeable concrete. Hello. We had DG installed last summer using the Strybing approach and post the NorCal winter rains are pretty happy with how it is holding up. Some areas that are on a slight slope did get some washing out in rivulets, but I’m planning to have the contractor back to touch things up. Any attractive treatments that you’ve run across? Maybe using edging in an across slope pattern? Also, I’m considering trying to slightly alter the overly sunny gold fines with a light powdering of some brownish DG — or maybe there are other products to consider. I’m looking for a more NorCal look rather than San Diego or Desert Gold look we have currently. Have you heard anyone trying to do this? Thanks. I have used many combos of colors. The main thing is using ‘fines’. I have a photo on the webpage of black fines mixed with brown DG. Came out great. I’ve also experimented with other rocks of different colors. But make sure you are getting fines along with the rock dust. I might recommend you try using the TerraKoat on your slope area. I’ve only used the Strybing method on flat areas and Strybing Arboretum paths are of course wheelchair accessible, so not much slope. Glad you had the courage to try this method. I really think it’s superior. Help I’m in Santa Monica and about to install DG in my backyard by a professional contractor. All the color samples he (and others) has shown me so far are either brownish, looking more like dirt, or grayish. I’m searching for the light golden tone like at the Getty. where can I find this kind of DG, and is it available without stabilizer. I do not work in L.A. but suggest you get on the phone and call all the local landscape supply yards. They all come without stabilizer. It really depends what kind of rock is available in your area. Why not call the Getty and get the name of their installer. Is DG the same as Stone dust ? I want to lay red clay tiles on top of DG with stabilizer and then DG Between the tiles ….is DG Strong enough so that the tiles won’t crack? One note about your tiles, if they are recommended for being set in concrete, then, without seeing them, I’d guess they are probably too thin for DG or sand etc. When you use a paver set in sand or DG, it needs to be a thick paver, otherwise it will break. That would apply to flagstone etc. DG is granite dust with small pieces of stone. You can experiment with other types of what is called ‘fines’ in the business. Just two thoughts. First, it’s more cost effective to buy DG by the yard. A bag will not go far at all. And do not know your methods, but if you are using the stabilizer you’ll probably want 2″ of DG because that will let you set the tiles. Second, I highly doubt the Saltillos won’t break. I’ve done patios with them on concrete and they are fairly fragile. You certainly can try, but they are really just baked earth clay from Mexico. If it were my yard, I’d go to a landscape yard and find something like Arizona flagstone in thicker pieces, and you can find them as 2×2 instead of irregular, or have them cut to the size you prefer. That would match fairly close the saltillos, especially if you pick them out yourself. Bourget brothers in Santa Monica has the golden color of DG …. I would like to know if putting red clay tile pavers on top of DG With stabilizers is strong enough so tile will not break ? I suppose it could work. I have only used the fabric for stabilizing walls and have not used it much. Check with your local landscape yard. Hello, great post, lots of great information. Can you tell me where I can purchase the Ryerson header edging, I’ve looked online for a while now and only find other brands. It is a brand name, correct? Ryerson? It’s possible it is no longer available. Go to a wholesale distributor for landscapers. Look for a thin metal edging. I would bet there are other styles available even if ‘Ryerson’ is no longer made. Hi Leslie, Finally I will start installing DG this week. I couldn’t reach at this point without your advice. I deeply appreciate your knowledge and support. Very quick question. Should I water on road base and DG when I compact it? Or no need watering? Please let me know. Thank you always!! Dave, please refer to the instructions in the book. I’ve outlined it clearly there. The 1″ Strybing method is the same as the regular method in terms of application and watering. Hi, I enjoy your blog and ebook. I could learn so much about DG from it. Thank you so much for the great information! I’m about installing DG on my backyard. I will use your method “3-4″ road compacted base then 1/2-3/4″ DG on it”. You mentioned that it needs to be reapply every few years depends on the traffic. Is there any special way or method for reapplying DG? Also, In my backyard, mole/gopher show up and they make mounds here and there every once in a while. If I got those on DG, how can I fix it? Also, is there any way to prevent? Sorry for many questions. Thank you!! Hi Dave, in my experience moles and gophers (most usually moles) love to come into yards where soil was recently tilled. By laying down all that compacted road base, you are doing the opposite. I cannot say that you will have no mole activity, but probably very little in your DG. I cannot remember a home where I’ve had trouble. On the other hand, even in places where the homeowner says they have no moles, if I till the soil to plant, they come. As regards your other question, when that time comes to apply more DG, simply apply as you did the first time with either an electric or hand tamper. No need to touch the existing base. Hi Leslie, thank you for your quick reply. Have you ever installed 1″ thick DG instead of 3/4″ when you used non-stabilizer method? I don’t want to use stabilizer but want to install DG as thick as possible. Also, is there any signs for the due to reapply DG? Maybe starting to see road base here and there? Please let me know your idea. Thank you so much!! 1″ is fine. You’ll know when you need to reapply as the baserock starts to show. Also, see my recent post on DG-RainKoat. It might be useful for you. Leslie fantastic site and appreciate your insight that you have shared on installing DG properly. Any additional tips for a DG driveway? I have a 25′ x 28′ backyard in Los Angeles and wanted to use the arboretum method “3-4″ road compacted base then 1/2-3/4″ DG. Because of our very large space we figured it would be cost effective to do this approach. One big challenge is excavation has been challenging. The soil is clay and is rock solid. With the soil being so hard would we be able to get a way with 2″ of road base instead of the minimum 3″ because the ground is so hard. If we need to adhere to the 3-4″ minimum any tricks of the trade for dealing with clay soil removal? Many thanks in advance! Hi, I’m trying to lay a .5 mile trail behind our church. Budget is tight but the board is insisting on some sort of crushed rock. The field the trail will sit in has scattered trees and is muddy after rain. What material would you reccomend. Our location is Houston Texas. Great article! Thanks in advance for any help! You might think of using crushed rock applied as I recommend in my DG booklet. Roofing gravel is cheap and can be attractive. Thanks for the information! I am a future landscape architect and I truly believe in knowing the details of the installation and long term maintenance and there pros and cons. I remember when Corten Steel came out and before I recommended it to a customer for pots, I looked it up…and thank god! I was able to educate myself NOT to make that recommendation unless those pots were going to permanently be set in loose gravel. Thanks Thanks Thanks! Is it necessary to put a base under the DG. There will be little foot traffic other than my two standards. I was planning on using 4 inches of DG with an aluminum border. The area of DG is 700 sq. ft. My home is in LA. Hi Charlie. Thanks for visiting. In my DG booklet I outline my recommended methods for laying DG and all the things that usually go wrong. Your “4 inches of DG” is one of the very wrong methods that will only lead to heartache now or later on. If you do not want to purchase the booklet, the blog entries lay out my basic advice. 700 sq. ft is a large patio and if you must do DG, you really should do it correctly the first time. Otherwise, you’ll just pay a lot more money to do it over. First, thanks for an amazing site. Second, thanks for your excellent eBooklet! It has answered almost all of my questions related to building a small DG patio (150 sq. ft.) using the arboretum method. However, I do have a question regarding the base: you always recommend ‘road base’ but, for a number of good reasons, it is far easier for me to order by the bag from Home Depot, but they only supply ‘paver base.’ Are these two functionally equivalent? I cannot see how you can order by the bag as you will probably need about 3 yards of road base to have a minimum of 4″ and usually I recommend 5″. I have no idea what Home Depot paver base is but probably not at all the same thing. Your local landscape yard can do the calculations for you and the delivery to your front driveway. I ordered your e-book, Decomposed Granite and Other Materials for Walkways and Patios last year. Other things came up over the year so I have only now read the entire booklet that I purchased on Amazon for about $4 bucks. 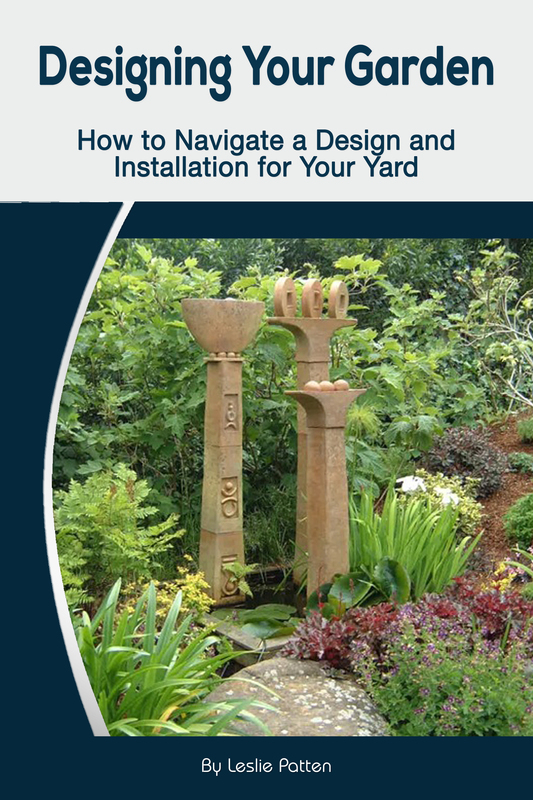 I wanted to let you (and everyone else reading this) know that this booklet is a must read before you attempt to work on your own patio OR have a contractor do it for you. Reading this booklet will give you the information you will need to ensure that a contractor does the project correctly, and/or give you the most of the information needed to prepare, install and complete your own project. Rarely have I read a more succinct and useful handbook for any kind of project installation. Thank you for putting this together. The various questions and answers submitted by do-it-yourselfers and contractors was especially helpful. Hi Ron, thanks so much for your feedback. If you don’t mind just copy exactly what you just posted and put it on the Amazon page I’d be so grateful. Good luck on your project. Hi Ron, do you have any recommendations for a contractor in the Sierra Foothills region (Auburn) for a DG walkway and patio? Thanks. Sorry Mark, I am going to do this myself. The contractors we met wanted to do things differently than what Leslie ascribes to. Therefore we decided to do our own work. Thanks to your book, I’ve proceeded with the installation of a DG patio using the arboretum method. It is being finished today. ONE QUESTION- when is it safe to walk on? I imagine the wet/damp DG needs to dry out before it is safe to walk on- is that right? Again- many thanks for your sage advice! You should ‘spritz’ it every day, and if hot a few times a day, to let it settle. You should be able to use it in a usual way in just a few days after it settles. You can walk on it now though. You should send some photos once it’s done. Kenny, I wrote an entire short e-book on DG plus many informative posts. All your questions should be answered in those formats. Leslie, I appreciate the effort that it must have taken to write the e-book. I went to purchase at Amazon but unfortunately I do not own a Kindle reader. I wish you offered .pdf format. I will try to find the info elsewhere. Kenny, you can peruse my blog posts and find most of your answers there. You can also go to Smashwords and they have many different formats of my book there, many that you can download directly onto your computer. If you have a Mac, you can for free download iBooks and you can read from there through Smashwords. You lost me at “road base.” You don’t define or describe it, let alone explain how to install it—which we clearly need to do before what you DO explain. Can you please provide a link to road base DIY? Call your local landscape yard. They will know what it is. I purchased your e-book “Decomposed Granite”, very informative! We have been following your instructions for the “Arboretum” style install. The base rock is all installed and compacted and we are ready to lay down the decomposed granite (without hardener). It’s my understanding from reading your material that the granite should be moist when laying it down/before compacting. Our granite is fairly dry at this point. I’ve seen tutorials where the granite is laid down dry, soaked and compacted after eight hours or so. Is that adequate? Our project in total is 1700 sq. ft. so I would hate to hand mix everything in a wheelbarrow before applying. What do you think is our best bet for best results? Hi Lyndsey, I’ve never applied it dry so I cannot tell you about that other advice. We’ve always mixed it with water in a wheelbarrow so that it is a fluffy texture. In other words, do not overwater. We are not putting down ‘mush’, just enough so you can crumble in your hands. That will allow you to compact it much better than if it’s put down dry. Keep spritzing it over the course of the first few days. It’s hard for me to imagine how dry DG can be compacted. Thank you, mixing via wheelbarrow it is! question: what is the technique for putting stepping stones into the DG – should i trace the shape of the stone, and cut out a bit of the DG? and then “install” (place in the shape i just made) the stepping stone? sounds like you are putting in step stones after the fact, correct? so the DG has hardened already. You’ll just have to cut out that part. I probably would just cut out the entire path part, put down the step stones, then fill in around with the DG you saved. If you want, you can use the TerraKoat spray on afterwards to re-harden, but it might not need it at all. DG is pretty forgiving as long as your installer did the initial installation correctly. thanks for your quick reply! and your advise with our question. we’re in SoCal, and wanted a grassless back yard, so we had the DG installed, and we’ve had a 6ft round stock tank “installed” into the DG so that it’s level for a water garden. plus, we have other stock tanks for raised-bed gardens, and we have some rustic “pipe and wood” tables for my husband’s cacti/succulent collection. and we’re thinking that there are a few places where stepping stones would add greater functionality and be a nice look (around the water garden, and in a few other small places). i think we will do your idea of removing some of the DG (enough to make the stones be level with the surrounding DG) and add the stones, and then add back in the DG between the stones. and then see if we need the “terrakoat”. overall, we LOVE the DG. and we’re really glad to have removed all the (mostly dead) grass (mud). now our backyard is really coming together. and the best part, we only water a few things, instead of a lawn. we couldn’t be happier with the function and the look. I’ve been researching DG applications for some time now, and this is the best blog I’ve seen! Thank you. I am also going to purchase your book and get going on my project. Good luck with your project Suzanne ! I just finished an outdoor / indoor al frescoe Balinese boudrois in Topanga and now finishing up a hen house with little outdoor yard using DG to cover the ground . It’s relatively inexpensive and clean and neat ! 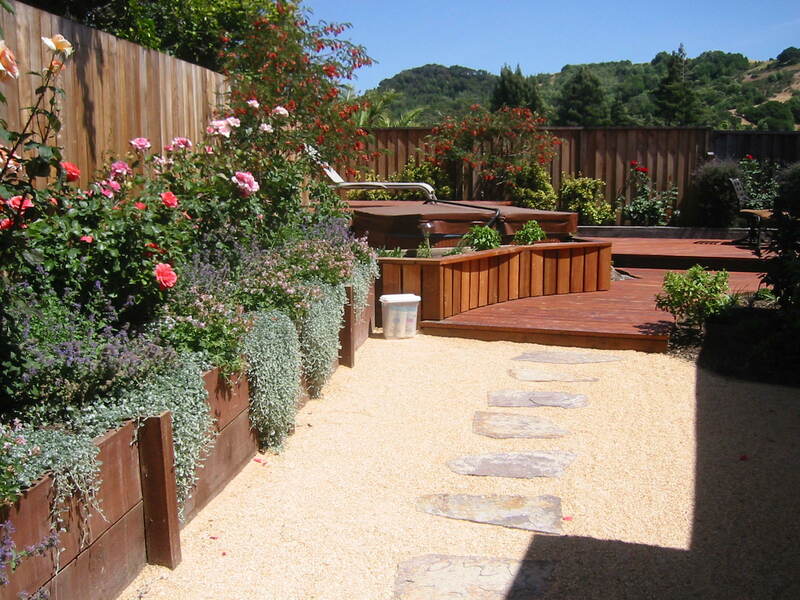 Leslie, I live in Mill Valley and am considering a decomposed granite installation. My sense is you are not far away. Will you consult for an hour? 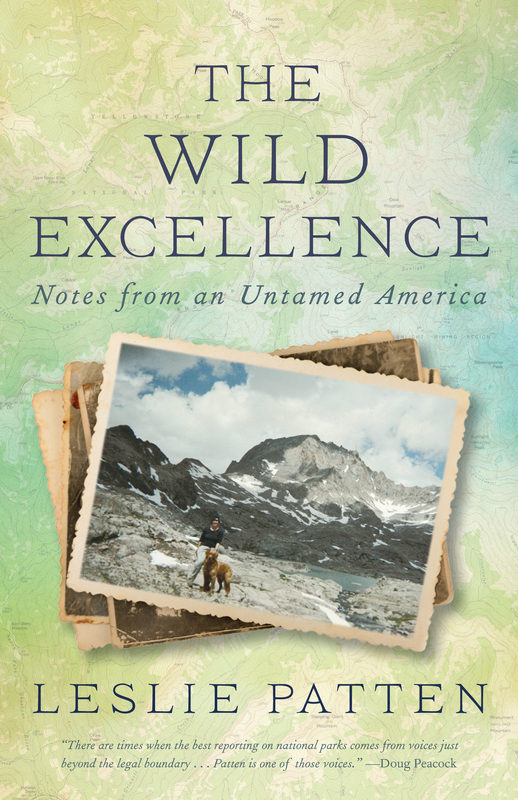 Hi David, I live in Wyoming now and return from time to time to Marin county to visit and sometimes do some work. My usual time to return is mid-Nov-early January. 1. Is it possible to use the Arboretum method if we’re putting in flagstones? (with only a 1/2″ dusting of DG, I’m guessing NO since the flagstones are at least 2 inches thick). If stepping stones are okay, do I remove some of the road base so I have room to put some DG under the stones to stabilize their uneven surface? 2. Can the Arboretum method be used with stabilized DG (DG with powder already pre-mixed from the yard)? Your book says “no hardener,” but I wasn’t sure if this simply referred to the liquid kind that is poured on after the fact (my neighbor want’s stabilized DG because he wants to lightly rake off the pine needles that regularly fall. 3. 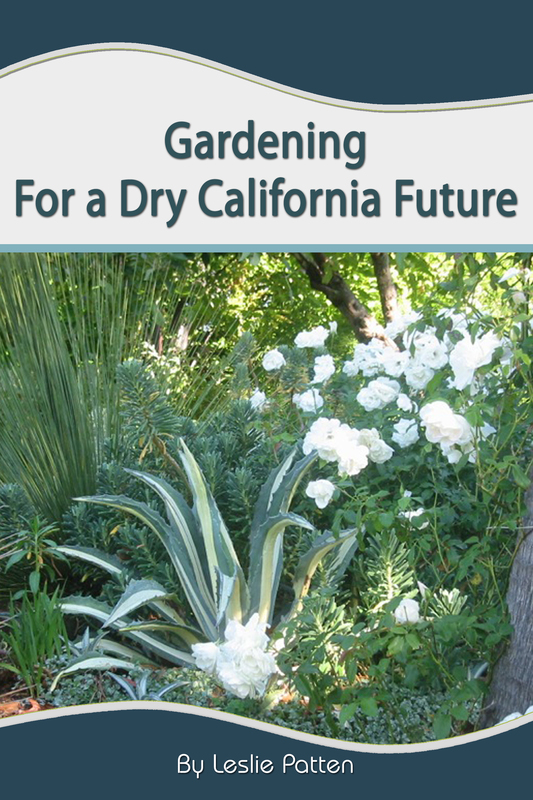 In one paragraph of your book (non-Arboretum method), you mention using the spritzer hose on top the 1/2″ spread DG, but also discuss dampening in a wheelbarrow first. Since it’s a large area, can I spread the 1/2″ dry DG, spritz with the hose, then compact and repeat? Or is it a must to lightly spritz with water in the wheelbarrow? 4. With the information above (light raking/sweeping, some stepping stones, large area), which of your two installation methods do you recommend (Arboretum or “original”=3″ road base, 2” DG)? 5. Lastly, your book has an image of “Fines (not traditional DG) with stabilizer and pavers.” It’s basically the look we are going for. Which method did you use for this, and did you use a plate compactor or hand compactor for this area. My apologies for being so long-winded. I want to get this right! Much appreciated. 1. Well I hadn’t thought much about this, but you could use 1″ of non-stabilized DG with 1″ thick flagstone. But in general with 2″ thick you will have to have some way to set the stone, so you’d have to use more DG. Still, apply only 1/2″ at a time and compact. Otherwise it’s a mush. 2. I dont use stabilizer with the 1/2″ method. There is no reason why he won’t be able to rake. The DG compacts really tight. You could also use the new spray on hardener TerreKoat after compacting for a tighter fit. 3. No. You must have the DG damp. The reason you spritz it is to keep it damp while it settles and not have it dry out too quick. 4. I’d probably recommend you use the 2″ of DG with a good road base. Make sure you apply the DG 1/2″ at a time and compact. Not sure where you live, but if you llive in a rainy area, then apply the TerraKoat on afterwards. 5. I always rent an electric compacter. Does a better job.That photo depicts a traditional method of 2″ DG except in this case we basically put together our own DG from fines. Another photo “DG with Dark Rock fines” is similar. We used a combination of dark DG but wanted to have it not muddy brown but more black. So we added fines from several types of rock until we got the color we wanted. Thank you so much for your prompt and detailed response. Per your suggestions, we will go with the traditional method. Regarding #3 above, I understand that the DG needs to be pre-moistened before I spread over the area. Do I need to do an overall spritz of each 1/2″ layer after each tamping? Or just one final spritz after the 4 thin layers are applied? And do I then spritz a couple times per day for 2-3 days? Much thanks. Just spritz when you are done compacting a few times a day for 2 or so days afterwards. Keeps it from cracking. You will be moistening your DG a bit at a time anyways–as much as you can in either a wheelbarrow or a mixer. It’s a lot easier if you obtain your DG pre-mixed with the hardener. They’ll do that for you at the yard. If you mix, then do it in a rented mixer because it’s important the hardener is well mixed in. Thank you. We’ll give it a go! Hello and Thank you for such great information. I ordered and read the guide for DG but just had a question regarding the border edging which I wasn’t able to find an example. 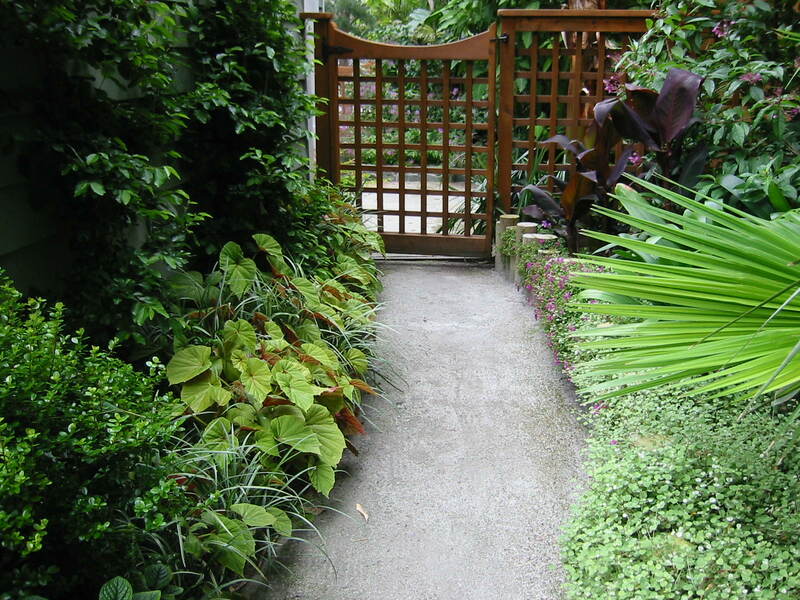 I would like my landscaping project without borders on the pathways. I’ve seen examples of borderless(path is next to mulched plant material) but does that mean that the edging has been install at or below grade so to hide the border with mulch? Would the installation be compromised if I attempted the arboretum method while doing so. Note: I do have a pallet of used red brick I can use but not sure if this would be adequate to hold the dg in place. Hi Doug, I know of no way to contain the base rock and the DG without something there. Probably what you saw was a border that was thin and covered up. You certainly can experiment with different borders. The bricks will work as they are about 3.5″ thick. The metal border I propose is pretty much invisible. but you do need something to contain the DG or it will just mix with whatever is outside you walkway, slowly disappearing. Hello and thank you. I have an upslope path I want to apply DG to. Would you recommend the ‘dusting’ method or to use hardener? Thank you Leslie. I figured nothing was permanent. I live in N. Cal and we as you know do get some hard rains, so perhaps hardener would be more resistant? Depending upon your degree of slope you might consider TerreParve. That will set up like concrete and comes in many colors, but is permeable. See my post on that. I’ve been getting estimates for DG with stabilizer walkways in my fairly flat backyard in Sacramento. I’m having second thoughts because we have a large retriever who loves to race around the yard and play ball every minute of the day. This activity has ripped up our lawn and our drainage swale. Now, I’m worried that “dog racing” will destroy the walkway in short order. What can you tell me about DG durability in this situation? I had a young golden when I installed my own DG paths. Later on I had a crazy golden puppy too. Never really had any problems except my installation was before there was hardener and in the winter I’d get footprints during the rainy season. If you are very concerned, the I recommend you either use the Strybing method which would give you an incredibly hard base, but don’t use stabilizer OR use spray TerraKoat on afterwards. If you really are afraid, then just go to TerraPave, which is super hard, like concrete, but very permeable. Hi there, thank you so much for this post, very informative! What is the general maintenance process? Ex: I have a large pine tree which drops pine needles constantly. I was thinking of putting DG below the tree (since grass won’t grow), but will be using a yard blower in that area regularly, to remove the pine needles. Will the blower also blow the DG? Thank you! 1) Our kids would play on the surface. Does DG have fine, sharp edges, which would cut into skin more (than dirt) if a child falls onto it? 2) I’ve heard that granite can possess radon, which emits radioactivity. Is this the case with DG? Hi Arleen. Barefoot works great with DG. The base rock beneath is what’s hard on bare feet. In your case I’d go for my 2″ method. That way no need to reapply in 5 years. Never heard about radon and DG. you’ll have to ask a geologist. Thanks for your quick reply, Leslie! So if a child falls and slides on it, it sounds like it would not be much different than falling on a compacted dirt surface…? That’s correct. It’s just like falling on dirt but certainly not as hard as concrete. I think it’s an excellent choice. But make sure your contractor installs EXACTLY like I recommend. If he doesn’t, then the result in rainy weather will be a mushy product. Just so you know, our local elementary school installed DG near the gym. That might make you feel better. I live in San Francisco and am looking for someone to do some installation work on our backyard. I can’t seem to find a bio on your site. Are you a gardener / landscaper for hire? If yes, how can I get in touch with you directly to discuss possibly providing us with a quote? If you’re not available, do you have any recommendations for anyone who is reasonably priced? Sorry, I do not work in San Francisco. The Bay Area is full of microclimates. In Marin alone there are about seven different microclimate conditions. San Francisco as well. I’d advise you to find a designer that works in the city. I also am a designer and only install my own jobs, working with several proven excellent installers. I do not know any installers in San Francisco. I’ve just spent the last hour going through this post; thank you for all the great information, I’ve learned a lot! I’ll be picking up your book too. I was really happy to learn that DG is fine to walk barefoot on, so I think I will put it in my backyard in Bodega Bay. Just so I’m clear, you suggest your 2” method which is the discussed in the first paragraph of this article as opposed to the Arboretum method for this project? Also, I’ll be doing a parking pad for guests in front of my house, would one method be better than the other for that? It will have minimal to moderate usage. Thank you! For the parking pad I’d do the Arboretum method. You can do either for your backyard but with the little kids, I suggested the 2″ method so you don’t have to reapply in five years and there will be no base rock showing through. Last spring, I got rid of all dead grass and installed DG in my whole backyard (except the flower bed) by Arboretum method. My family love it!! I could’t make it without your information.Thank you so much for your great advice!! I used regular DG which was a variety of a mix of super fine crushed to small rock (up to 1/4″) and no hardener. I installed 4″ of the road base and 3/4″ DG on it. I compacted every 1/2″ both of them. It seems the loose areas contained more small rocks(about 1/4″) and less well crushed fine ones. I guess that’s why it didn’t get hold and hard enough on those spots even I used an electric compactor. And now those small rocks were spreaded to whole area by the raking. The tiny loose rocks are floating all over the place. I’m wondering what is the best method to fix this issue. I’m thinking to grade by a broom as much as possible, moisturize well whole area and re-compact by an electric compactor again. Do you think it will work? I’m concerning because I can’t dump and mix DG well on the wheelbarrow like when I was installed. I tried to quick spritz and stamped by hand compactor on small area but seemed like didn’t get hard like first time. Maybe because I didn’t moisturize enough. Do you have any advice or suggestion? Please let me know. Thank you so much for your awesome info all the time!! In our area asphalt grindings from resurfacing the roads are very prevalent and inexpensive (in some instances free). It compacts very well. I would assume that this would be a good material to use as a base material in lieu of normal road base material. Have you used this before and do you have any concerns? Sorry Mike, I wouldn’t know anything about it. How well does it drain would be my first question. Seems like asphalt is meant to run off, not drain through. I’d ask local contractors their opinion. I definitely cannot vouch for it as a substitute. Base rock usually is only about $30/yard so not that expensive. Have an path that was lined with 3/8ths pea gravel. I have put in 4″ steel borders and am ready to put in the DG. Question: any issue with putting the DG right over the pea gravel (assuming laying 1/2″ at a time and compating as I go? Also there is a place in the path that has an old concrete walkway, can I put DG right over that too? certainly the pea gravel will drain, but can’t imagine it compacting well enough so that your DG won’t eventually have dips and squishy areas. Also, concrete doesn’t drain. This is not a professionally done job and will probably have to be redone in a few years correctly as stated in my eBook and on this blog. Hi. I bought your DG book, but still have a few questions about installations under trees. I live in northeast WA state, so snow sits during winter…don’t care if it gets mushy then since won’t be using it until late spring. But it will be replacing a brick paver patio under a large, mature maple tree that will cover the entire thing. The tree grows slowly, so it has taken over twelve years for the roots to lift the pavers, but now it’s time to replace them. Concrete will crack and pavers are a pain to repair, so DG sounds like it will provide better maintenance options over time. 1. After several years when the roots lift it a bit, can we dig as needed, cut back the root, relay based and DG in that area and re-compact? 2. Can it be raked a few times a year without issue? When leaves fall, and in the spring when the see-pods fall. 3. Can we blow it off with a leaf blower? 4. Maples drip in the spring. This has always discolored our pavers. Will DG discolor the same way, or can the surface be roughed up a bit with a rake to mix the drippings in? Or just best to start with a darker color? We are not picky people who need a perfect surface, just a useable surface. Thanks for your input. I wish you worked in Spokane. Most contractors where just look at you funny when you mention DG, even though you can obtain it from local landscaping companies. Hi, great info. Question, how do we keep it clean & tidy looking? We installed it last year and it’s looking a bit untidy. Just sweep it? Thanks! Just got your book on Amazon. Great resource. My question is: Do you recall the name of the guy at the Arboretum in San Francisco who told you about his technique? I actually live in SF, about a mile from there, and was going to go check out their paths (and maybe even take a little hand spade with me to take some…ahem, data measurements). That, or, I figured if perhaps I knew the guys name, I could drop it to someone who worked there and see if maybe he was still around to talk to.